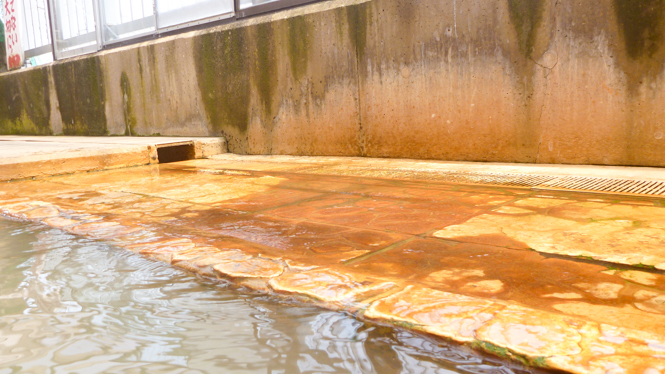 Misaki Onsen (御崎温泉) is a hot spring place in Esan, Hakodate city. 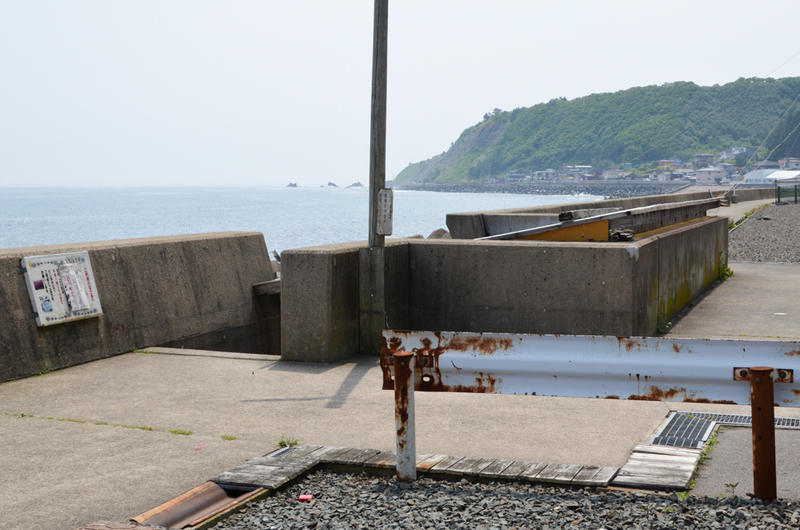 Only Hama-no-Yu (浜の湯) is built nearby Esan Fish Port (恵山漁港) at the end of Hokkaido Road 635, and is a secret onsen like a hideout. 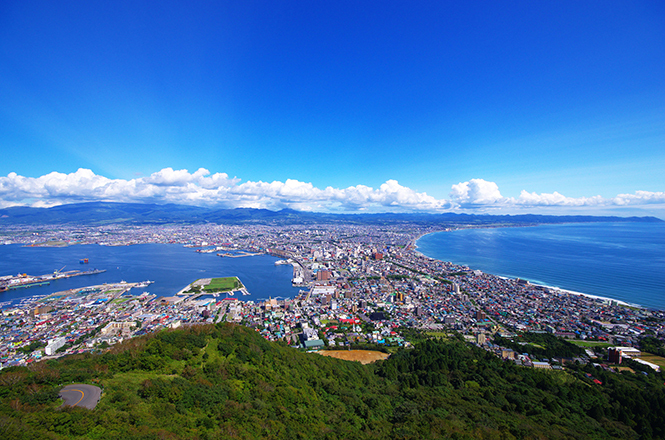 The distance between the Misaki Onsen and the center of the Hakodate is around 50 km. 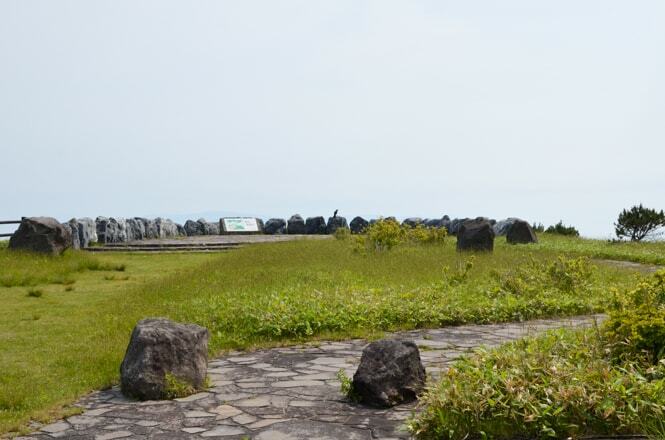 There are Esan-Kakokgen (恵山火口原), Esan Observatory (恵山展望台), Misaki Lookout (岬展望台), Azalea Park (つつじ公園), Ishida Onsen (石田温泉) and Esan Onsen (恵山温泉) around here. 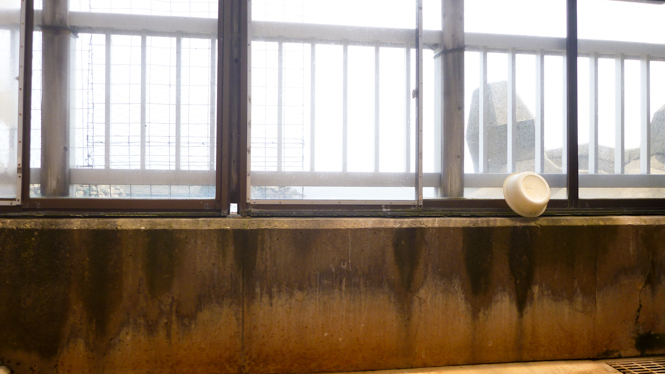 Unfortunately, restraunts, cafes, cafes, souvenir shops and convenience stores are not built around the Misaki Onsen. 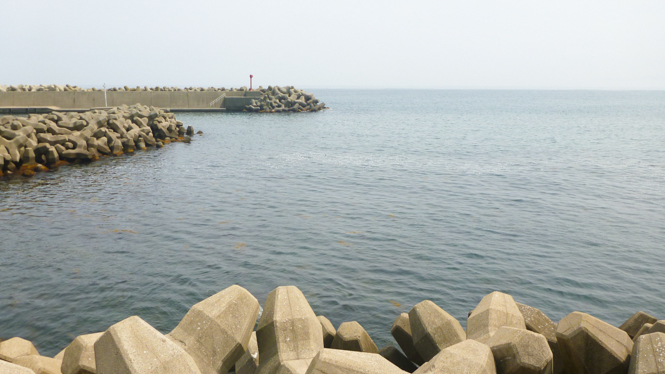 Visitors can take day trip bath at the Hama-no-Yu. 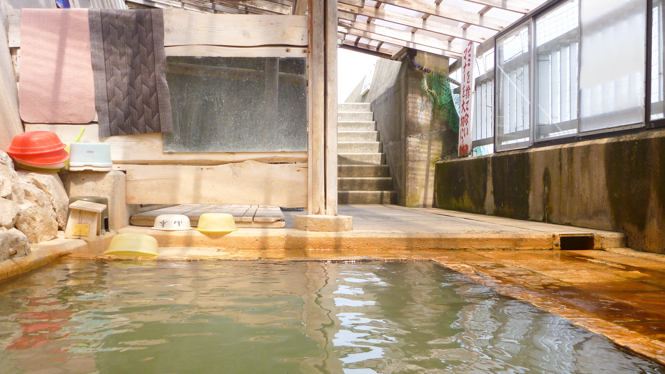 Misaki Onsen Hama-no-Yu is a public bath for local fishermen, and is known as a good onsen by Onsen Evangelist. 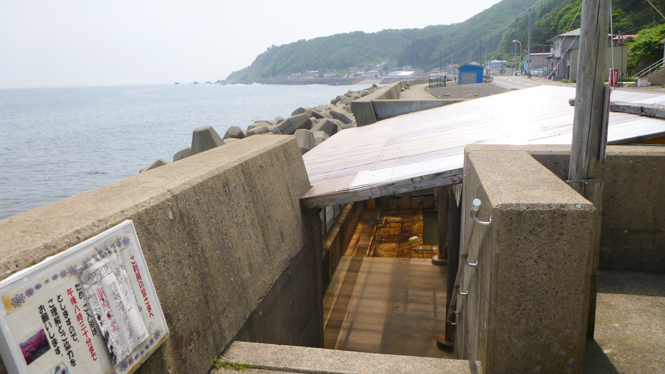 A public bathroom is surrounded by a breakwater, and is like a hideout. 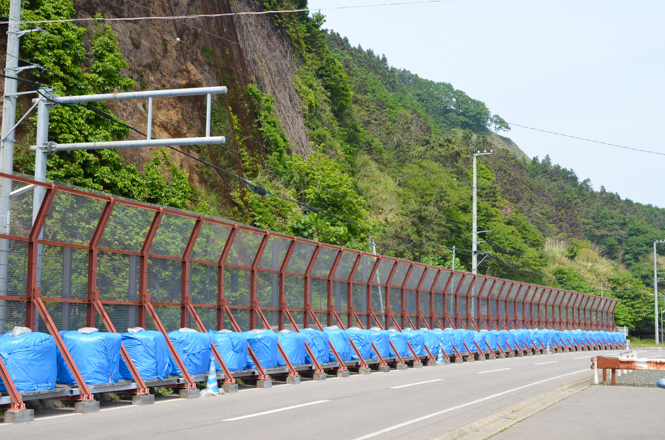 People will pass the onsen by obliviously if people do not know the Hama-no-Yu. There is a parking lot next to the bathroom. 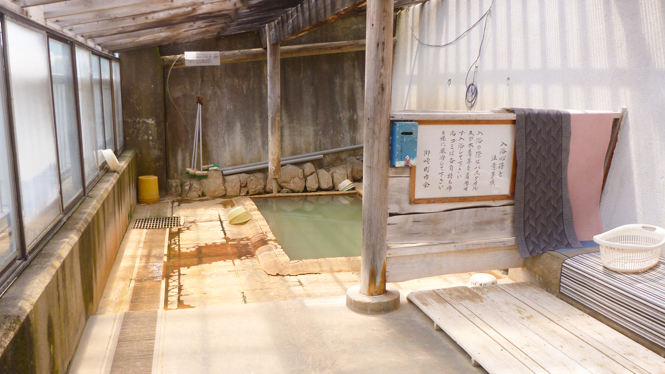 When I searched about Hama-no-Yu on the internet, I did not know that this onsen forbid strangers to take a bath. 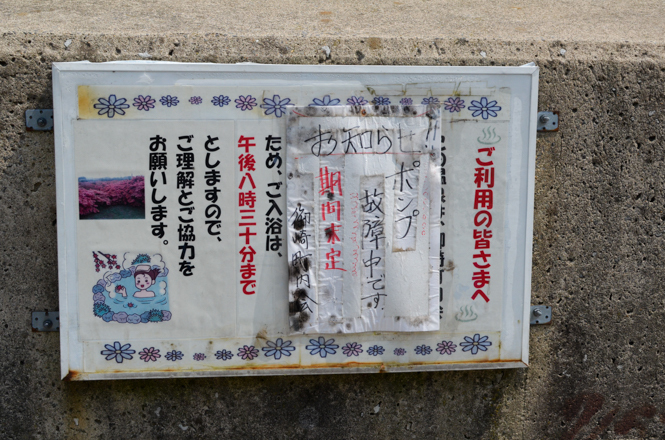 Because some strangers (tourists) scattered the bathroom or stealed a little token of people's gratitude, local people got angry. Therefore the local people requires strangers to use the bathroom cleanly. Please promise it if you visit here. After getting out of my car, I went to an entrance, and "A Pump Has Broken" was written on a signboard. I thought I might not be able to take a bath, but a bathtub was drawn fully. 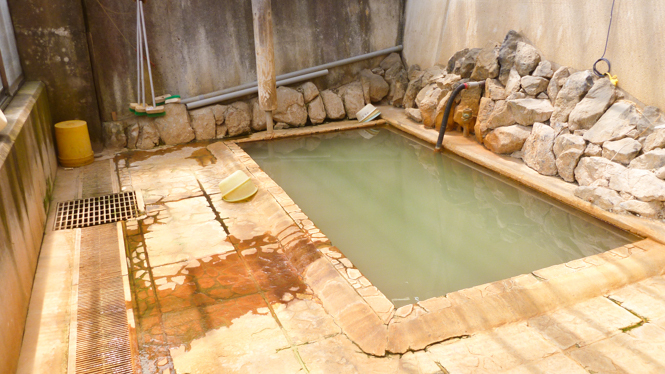 In addition, hot springs were trickling down from a hose, and I guessed that it meaned a small amount of water. 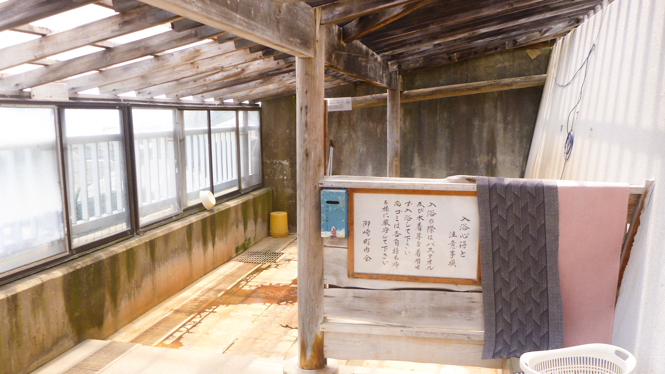 The bathroom with a simple roof had a dressing place and a bathing place and was cleaned out. By the way, there is a blue box for a little token of your gratitude. Please give it a little token. There is 1 mixed bathing indoor bath at the bathroom. It is the size that about 5 people can take a bath. 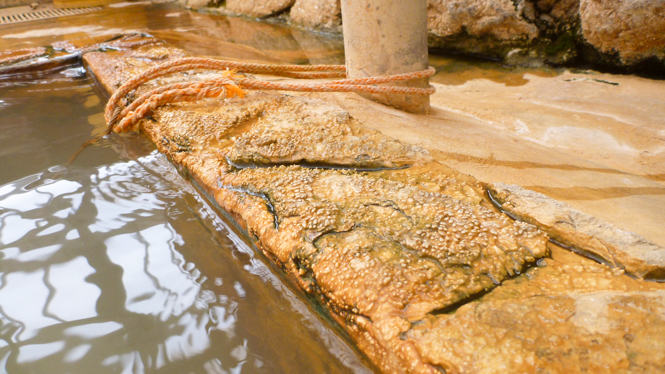 100% natural free flowing hot springs overflow from the bathtub. After the hot springs overflowed from the bathtub to the floor of the bathroom, it is interesting to note that brown color deposited on the floor. By the way, Misaki Onsen has some rules and prohibits bathers from taking a bath in their swimsuits or covereing their body with bath towels. Water temperature was around 40 C and was comfortable. 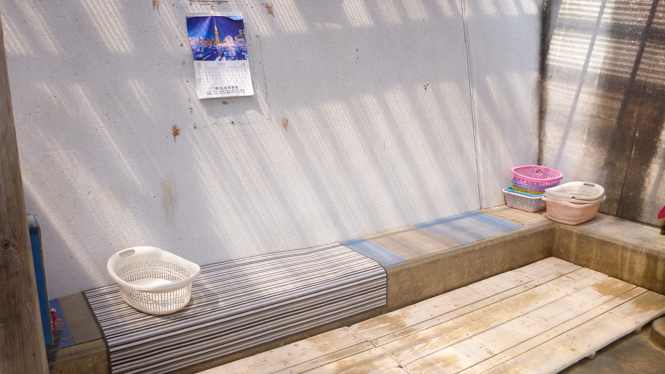 I visited here around 13:00 on weekdays, and nobody came while I was bathing for about 30 minutes. So maybe it is not crowded around noon. 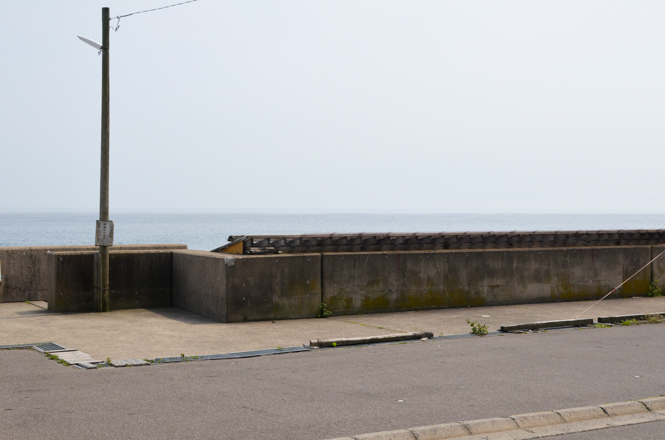 The bathroom has windows, Unfortunately the sea can hardly be seen and it is not an ocean view. But the bathers can enjoy an extraordinary space. 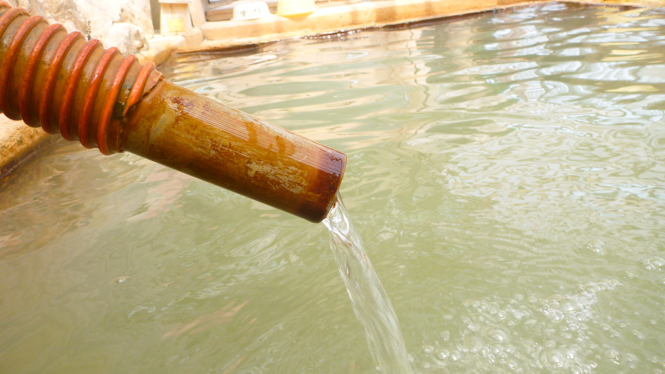 The hot springs are calcium and sodium magnesium bicarbonate sulfate carbonated spring, and are light green and opaque and have metallic taste and metallic smell, and seem to be drinkable, but there is not a drinking hot spring facility. It seems to be effective for Chronic digestive diseases, Chronic constipation, Diabetes, Gout, Liver disease, Chronic cholecystitis, Cholelithiasis and Obesity disease. * Maybe the hot springs become depleted by the pump trouble. Shampoos and soaps are not provided at the bathroom. There is not a restroom at the bathroom. 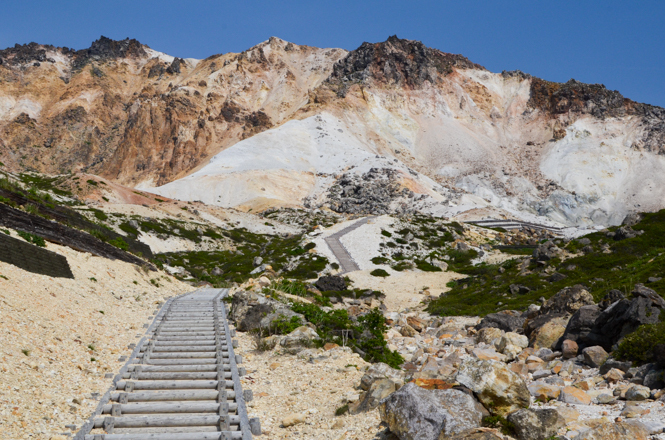 Refer to following websites for the accommodations around Misaki Onsen.